Though we like to preserve trees, tree removal is a very important part of arboriculture and one that we implement professionally and safely. Our goal is to maintain trees to keep them healthy and safe, but there are situations when removal is the best choice for the owner, community and environment. When a tree inspection reveals a potential issue; possibly the tree is dead, dying, diseased, nuisance weeds species, and or structurally unsound. Tree removal may be necessary. Tree removal is a very dangerous aspect of arboriculture. Often, tree workers must remove trees growing in confined spaces near houses, power lines and other delicate areas around peoples property. Tree removal requires significant expertise to successfully perform this task. 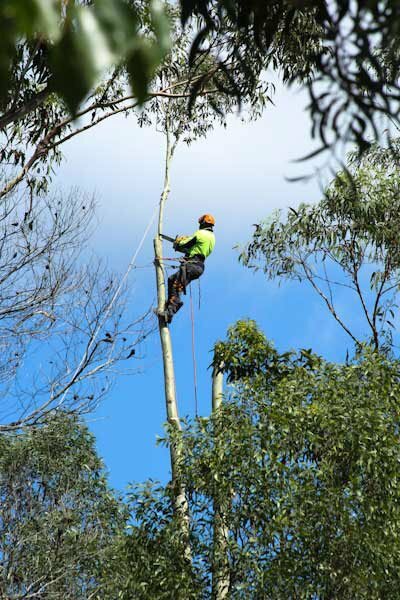 At Eden Trees, our arborists are highly skilled to work safely and efficiently in all tree removals. We provide complete cleanup of debris and strive to reduce the impact to surrounding vegetation. Ask us about suitable replacement planting options.